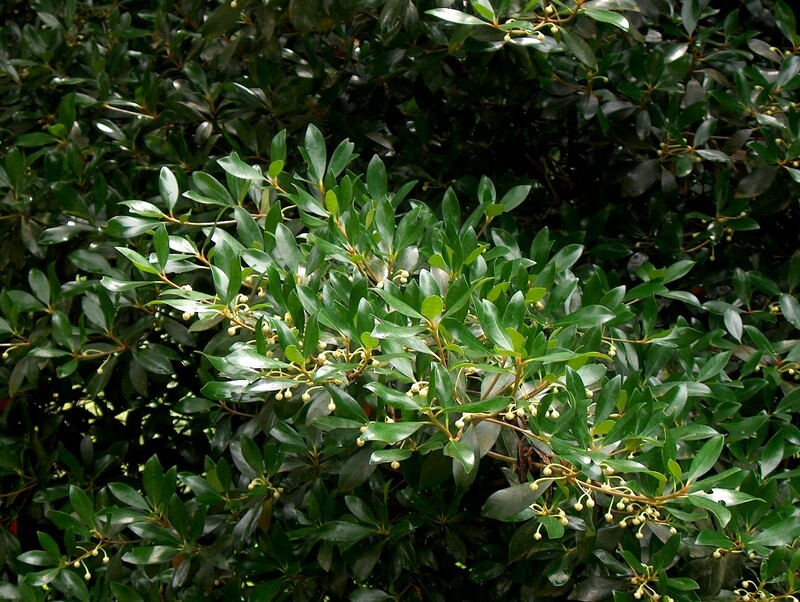 Comments: This is a popular upright growing evergreen shrub in the South. It produces shiny, leathery foliage and will grow in a wide range of conditions provided that the soil is well drained. It can tolerate full sunlight to partial shade. This evergreen can be used as a small specimen evergreen tree standing alone and is equally effective used in mass as a privacy hedge. The only major pest is leaf spot, but is not normally severe if plants are growing in reasonable conditions.